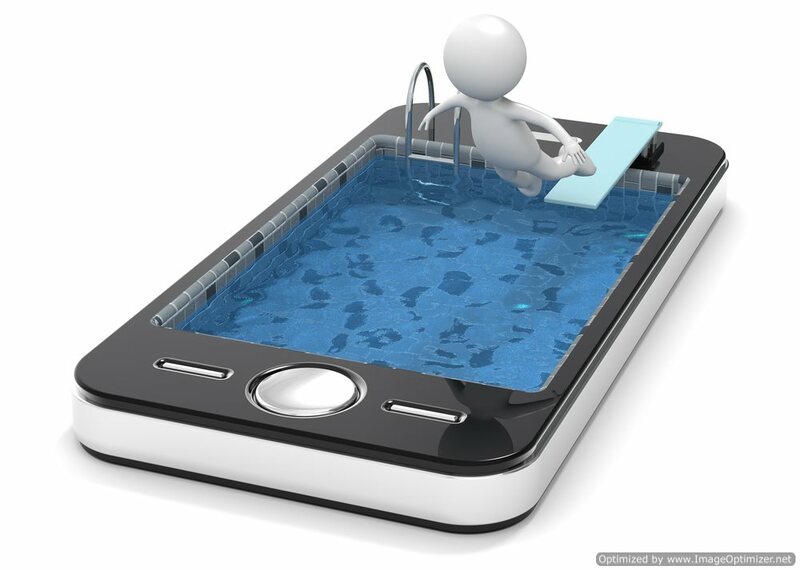 Consumer electronics and water seldom mix, and for many users, there are few things more annoying than a tablet or smartphone that’s been accidentally dropped in water. A trip to the bathroom or a rainy day used to require babysitting our expensive devices. “I cannot tell you how many users I know who have accidentally dropped their device in the toilet or their kid spilled a drink all over it,” said senior writer Maggie Reardon. A soaked tablet or phone has traditionally meant shelling out a few hundred for a replacement; however, new technology has moved rugged cell phones and waterproof cases to withstand pesky situations or adverse conditions. Several smartphones and tablets highlighted at this year’s Consumer Electronics Show, and Mobile World Congress Convention suggests the future is bright for tablets and phone that are both powerful and waterproof—or at least water resistant. Sony debuted the Xperia Tablet Z at last week’s Mobile World Congress; the item is drawing praise for its functionality, sleek design and ability to withstand getting drenched by water or other liquids. “If you are taking a bath and want to enjoy a movie and you accidentally drop the tablet into the water, it will be okay,” said Zperia Z product manager Sharath Muddaiah. Makers of the Xperia Z claim the tablet can withstand sprays of water and can submerges in up to 3 feet of water for up to 30 minutes. The tablet does not boast special coating; however, the device’s parts are all water-persistent. The water-resistant features of the new tablet do not come with the bulky characteristics associated with the so-called rugged phones. Although far more water-resistant than most smart devices, Sony cautions that the tablet’s port covers must be sealed up to hold water. The device’s micro-USB and headphone sockets are lined with rubber port covers that must be flipped up for access. Sony is not the only electronics company making an effort to provide a sturdier smart device as Fina’s Huawei dunked its Ascend D2 phone in a tub of water for attendees at the Mobile World Congress Convention. Other electronic companies trying to solve the liquid-incompatibility problem are reciting the same mantra: water-resistant features are incorporated on these devices to help in case of accidents, and not to make a device that is safe for scuba diving. In the meantime, there is always the traditional fix if your device has gone for an unplanned trip to a liquid sanctuary: grab a bowl and pick-up a bag of rice.